The measurements for this buckle are 3-1/4" x 2". 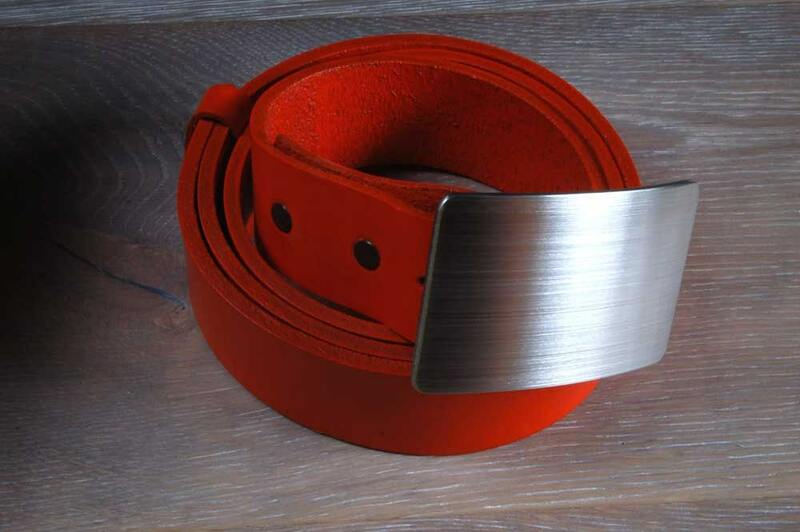 Also included is a Hand Dyed Orange Full Grain Belt with snaps making it interchangeable with other buckles. 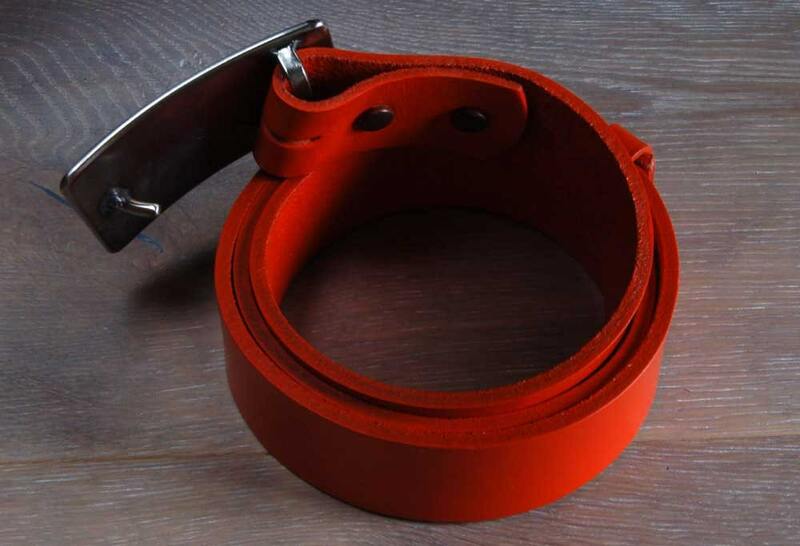 Belt will be custom cut to size. Please don't include the buckle in your measurements. You can also send us your waist measurement, if you prefer. ***** Please let us know which method of measure you are sending us ie: waist measurement or existing belt measurement. Buckles to fit a 1-1/4" belt also available in this style. Please contact for custom order listing. We can combine shipping for extra belts. Please email for an exact ship quote. Etsy Payments is preferred, but we accept paypal, square, credit cards, money order, e-transfer or personal cheque. If paying by cheque, we will require cheque to clear the bank before shipping. Once payment has been received, we ship as soon as possible. Shipping will be time frame indicated on the listing. If the item is on hand, we will ship asap, if we have to custom make the item, shipping will be as stated in the listing. We ship within Canada via Expedited Service or Tracked Pack, unless an upgrade is requested & prepaid. International shipments & shipments to the USA will be via trackable & insured service. If you require a faster method of shipping, please don't hesitate to ask for a shipping upgrade. It is our pleasure to combine shipping for more than one item. Returns are not accepted on any custom orders. Custom orders go through a process of confirmations. Proofs are sent and confirmed prior to the order being shipped to you. Please understand the amount of hours that go into a custom order. If you are going to cancel a custom order, please do that 1-2 hours after placing the custom order and before any work has been started. Please contact us if you are not 100% satisfied with any of your purchases. Wholesale & Custom Orders are welcome! Each item is an original. We offer wholesale pricing on quantity purchases. Please contact us for details. If you have a logo or an idea you would like to see etched on a buckle, please contact us for our custom buckles. We will provide a proof, prior to creating the item. A time frame will be given during our discussions. Each item is an original, however, we offer wholesale pricing on quantity purchases. If you have a logo or an idea you would like to see etched on a buckle, furniture or other item, please contact us for our custom requirements. We will usually ask for b&w jpeg or vector of the image. Once payment has been received, we will begin the artistic process. We will provide a proof, prior to creating the item. Any of our buckles or belts can be made to your specifications. If you are ordering a belt, please send us either your pant/waist size, or, in order to ensure a really good custom fit for your new belt, could you please measure an existing belt as in the instructions below. • See attached "how to sketch "
• If you can put your existing belt and buckle on--take note of which hole you use most. • Then, lay the belt flat and measure from the hole you use most, to the fold over end on the belt. 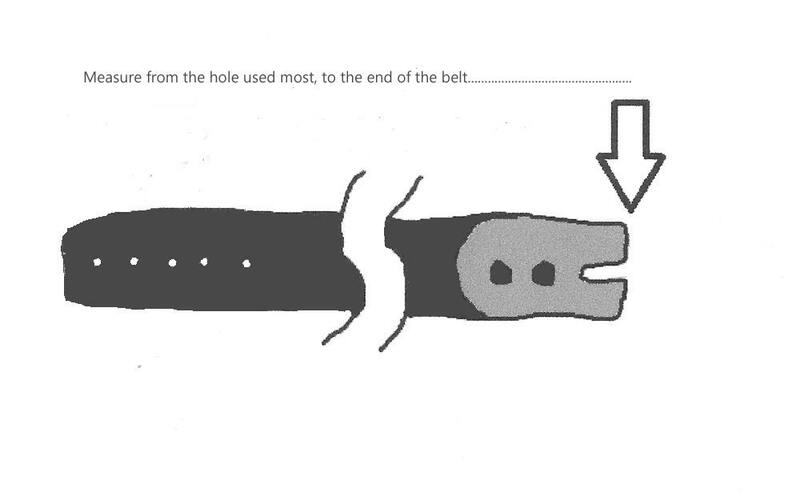 • Don't include the buckle in your measurement. Most of our belt buckles are made from stainless steel and are hypoallergenic. They are waterproof and take very little care. 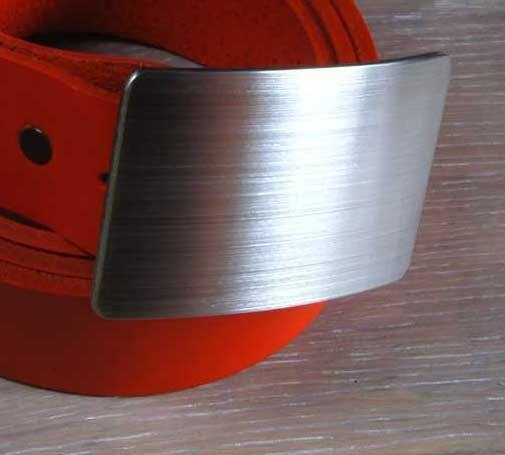 Our leather belts can be oiled as you would any other leather product. If you have any questions about care of any of our products, please don't hesitate to ask. 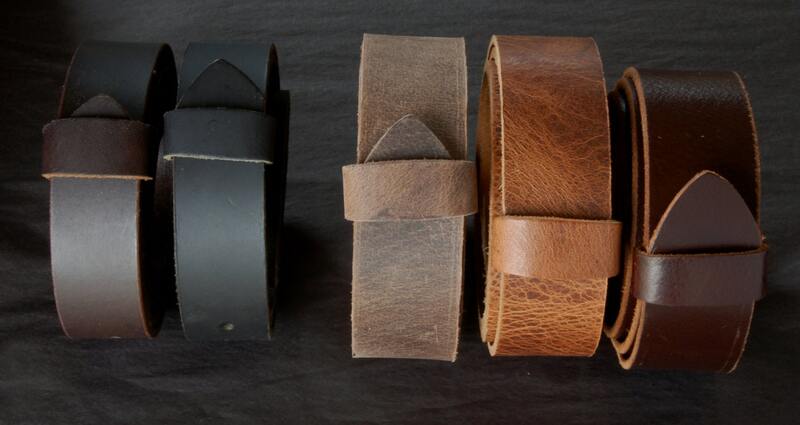 Each buckle comes with either a black velvet or beige burlap storage bag. Please make your choice at the time of purchase. Belts are wrapped in black tissue with our company stickers. Larger pieces will be wrapped or crated accordingly. If you require any other gift wrapping for a special occasion, please let us know. Please contact us for details regarding ironartcanada wholesale. Have an idea that needs to be created from metal? Custom is our specialty. We design and fabricate from a variety of metals. Contact us if you require a custom piece-exclusive to your store, gallery, home, studio etc. We will design and fabricate. Create unique pieces using a variety of metals. Please contact us, even if it's only a concept. Will work from a sketch or working drawing or will create one for you. We can make your idea a reality.